Bradley Hart is a Canadian artist known for using a bubble wrap to express his art vision through a series of the photorealistic portraits, made by injecting paint into bubbles. Hart was born in Toronto, Canada. He grew up in a family that designed and built restaurants, working with wood and metal in workshops, where Bradley got interested in the whole creative process – so as long as he can remembers he was fascinated by deconstructing stuff, or, better said: taking things apart. He was very much interested in a structure of created object: the parts and their interconnection. When he was only 11 years old, his parents enrolled him to a private art school Thornton Hall, extremely traditional in a way that he was forced to replicate in pencil renaissance master’s pieces, the whole day through. That pretty rigorous training was crucial and effective in shaping his artistic skill. Bradley Hart earned his B.A. at the University of Toronto, majoring Visual Art and Semiotic Communication Theory but with a minor in Cinema Studies. 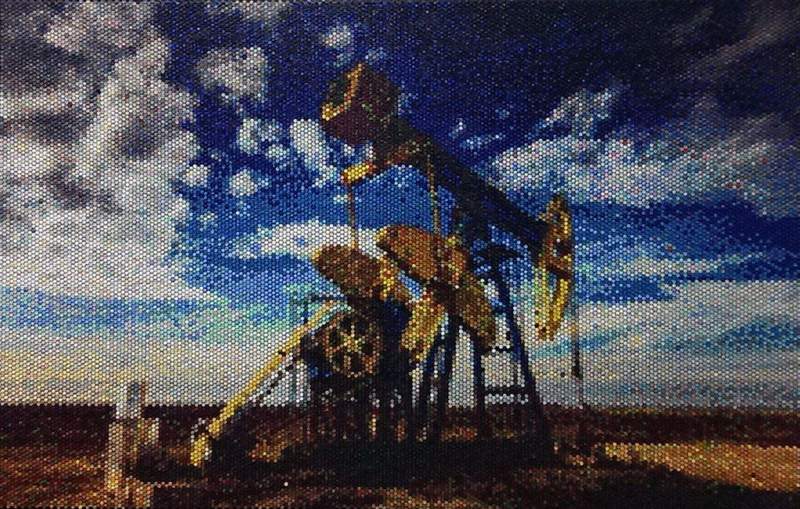 This artist’s artistic process is based on a different steps and techniques – from injections and impressions, wasted paint and assemblages, among others. Hart’s series titled Injection paintings is ranging from celebrities portraits or friends to snapshots of life itself. 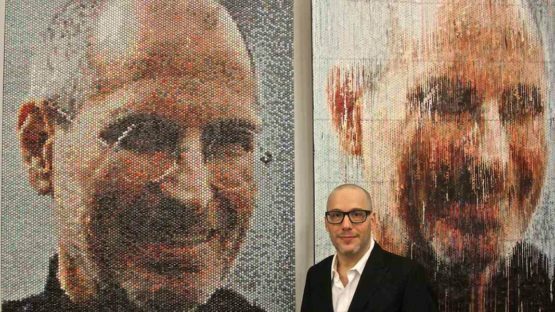 The best known work from this series is definitely a portrait of Steve Jobs made from more than 16,000 individual bubbles and almost 90 different hues of paint. This artist claims that there is no such thing as a pure waste, he actually recycles absolutely anything he can – syringes, old pots, and even paint drippings from the studio floor. These pieces are titles either Created Waste or the Wasted Paint (created solely out of accidental spills). 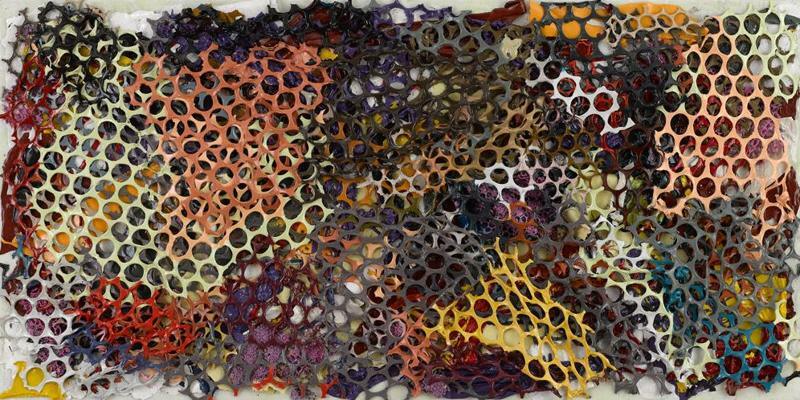 This artist is represented by Anna Zorina Gallery in New York City. Bradley Hart lives and works in New York.